In September it was all about fall fashion for B/G, B/B, and G/G twins. Now that spring is HERE, I thought it'd be fun to do it again. As always, there are a few rules: Each G/G twin mom had to choose a different store and absolutely every piece has to come from that store. Head to toe. Moms don't have a lot of time to shop at several stores or spend hours scouring the internet, so my hope is we could show you some great coordinated looks that require one quick stop or only one shipping fee (because, let's be honest, shipping fees are THE WORST). I am bargain shopper who likes to look like she's just stepped off her yacht even though she can barely afford a row boat. I've always been a huge fan of nautical styles - stripes, navy, classic looks that are always on trend and often, on sale! It's been fun dressing my girls since I love the hunt of a good deal. 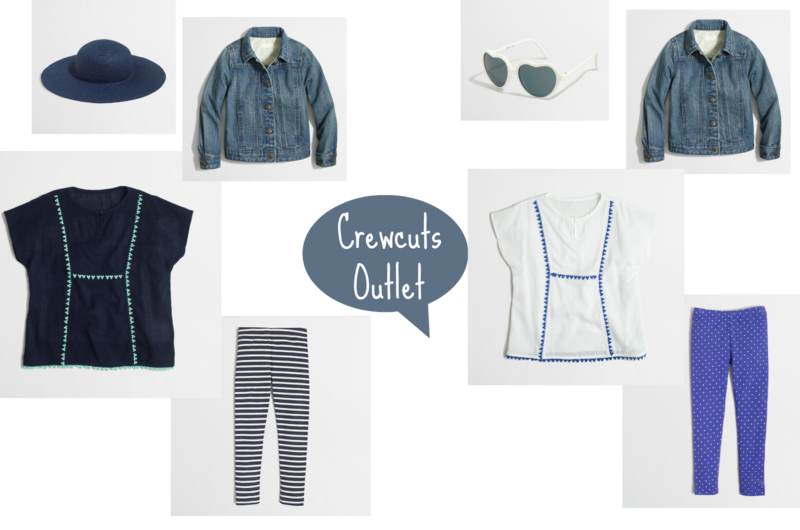 The girls are slowly growing into the smallest size sold at J.Crew Factory so I thought it would be fun to peruse their pieces since it is one of my favorite stores. (Plus, never EVER buy things full price here. They always have promo codes, huge sales and free shipping.) Like any twin mom, I picked items that I can get the most bang for my buck. Jean jackets are the perfect transitional jackets - for boys and girls! I love how this cover-up can be worn as a dress now, beach accessory in the summer and then even as a top with jeans this fall. And these leggings pair perfectly with several other dresses and tops already in their closet. Happy (bargain) shopping! 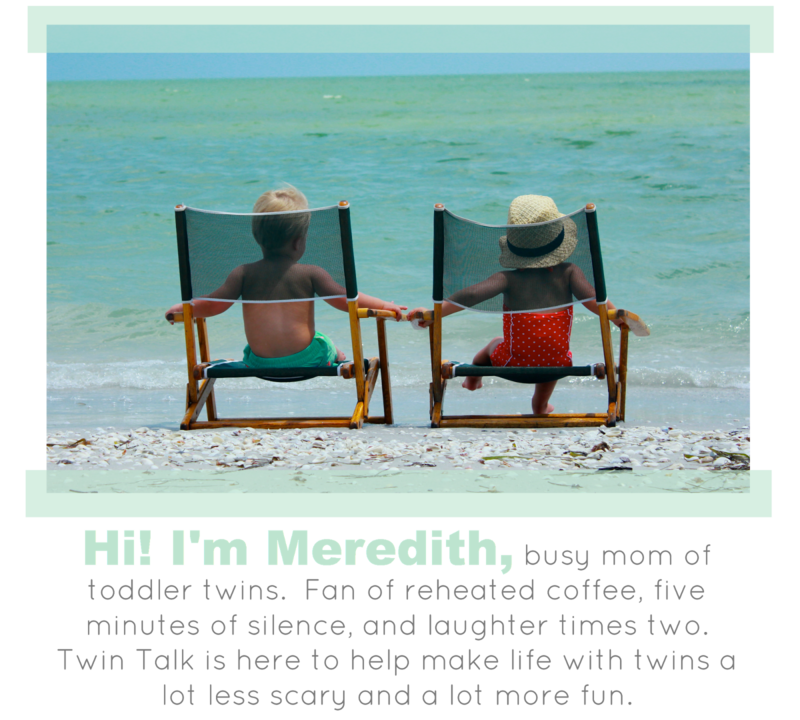 Twins: Claire and Eden, born 10-22-12. Favorite Stores: Zara, H&M, Hannah Anderrson, Gymboree, Target and Old Navy. We love to dress in tunics or dresses with leggings. We're very excited for sandals weather too! Favorite Stores: Target, Old Navy, and H&M. Our style is pretty laid back, comfy, and cozy. There are 4 girls we need to dress in the family (5 including mom) so we try to buy items that can mix and match easily. We buy a few "dressier" items that can be our go to outfits for fun dinners and parties. Mostly we like to wear cotton skirts, shorts, tees, and tanks these items can be worn for any day and they are perfect for our warm Florida days. We pair them with a cardigan or light jacket for cooler days and nights! 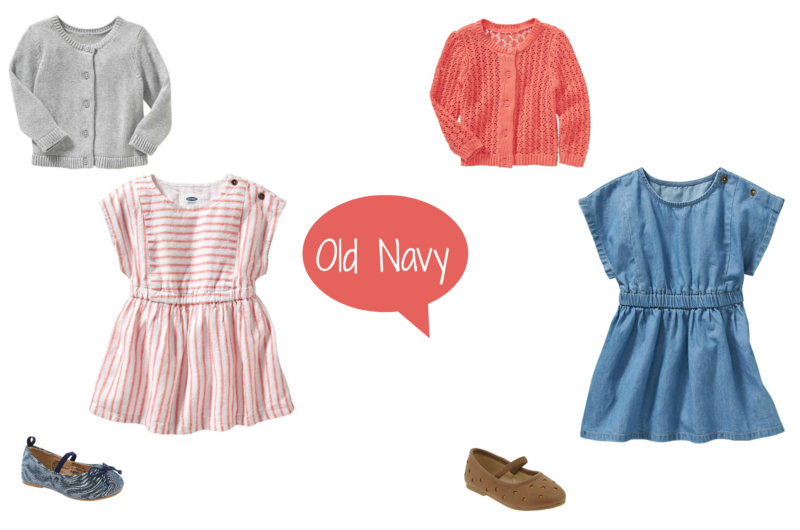 Favorite Shops: Old Navy, Gap, and Target. Twins: 7 month old twins, Amelia Claire and Lily Catherine. They were born August 2, 2014. I'm the proud momma of 4 beautiful girls. With 4 girls, I'm no newbie to cute clothes (or the price tag that comes along with them!) which is why we love Targets clothes for our girls. The style is cute, yet comfortable and most importantly, affordable! I love to dress the twins matching, but that doesn't always mean exactly the same outfits. Outfits that coordinate with each other give a cute, classy look for our girls! 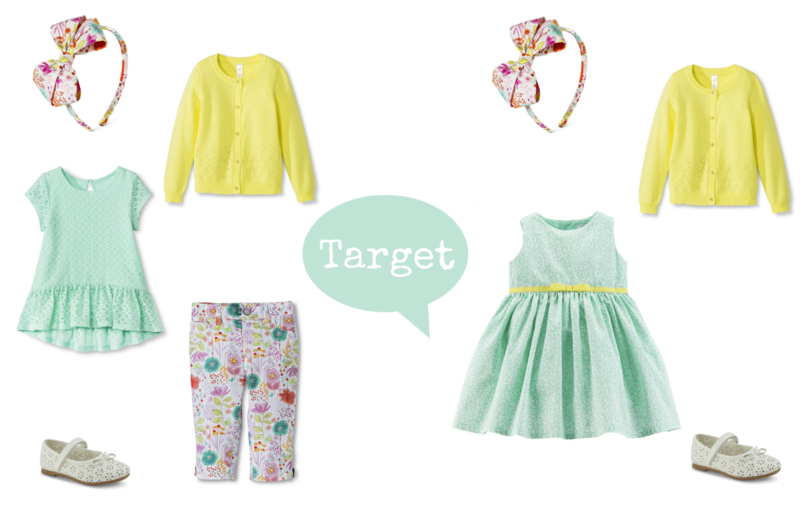 CLICK HERE to see Spring Fashion for B/G twins!